Effective immediately, the USCIS and the DOJ are implementing measures to identify employers who favor H-1B visa holders over U.S. workers. The H-1B visa program allows companies to recruit and temporarily hire highly skilled foreign workers into specialty occupations. Although the USCIS will continue to conduct random and unannounced visits nationwide, the agency has specified that starting immediately it will take a more targeted approach when making site visits across the country. • Employers petitioning for H-1B workers who will work off-site for a third party or client. 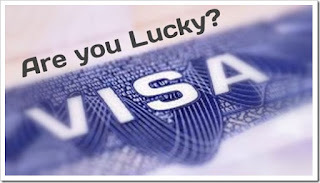 • The H-1B worker is not or will not be paid the wage certified on the Labor Condition Application (LCA). • There is a wage disparity between H-1B workers and other workers performing the same or similar duties, particularly to the detriment of U.S. workers. • The H-1B worker is not performing the duties specified in the H-1B petition, including when the duties are at a higher level than the position description. • The H-1B worker is not working in the intended location as certified on the LCA. The USCIS has also established an email address dedicated to receiving complaints of a company’s suspected misuse of the H-1B visa program. To encourage reporting, the agency has established protections for H-1B workers who can demonstrate that they faced retaliation for reporting H-1B fraud or abuse. Common Sense Counsel: it has become increasingly difficult for employers to sponsor foreign workers with H-1B visas. For the current “cap” season, it is expected that as many as 250,000 H-1B visa petitions may be filed by employers for the 85,000 new H-1B visas available each U.S. fiscal year. The USCIS conducts a “lottery” to randomly select 85,000 petitions to process, and the remainder are simply sent back, unprocessed. In this case winning the H1-B lottery will likely get you audited! Tommy Eden is a partner working out of the Constangy, Brooks, Smith & Prophete, LLP offices in Opelika, AL a member of the ABA Section of Labor and Employment Law He can be contacted at teden@constangy.com or 334-246-2901.